The Russian Foreign Ministry has accused the International Criminal Tribunal on the Former Yugoslavia of being biased and said it should be dismantled as soon as possible. This follows the acquittal of Bosnian Naser Oric last week. An official statement by the ministry called the tribunal’s decision to release Oric, who was blamed for the deaths of some 3,000 Serb prisoners during the Balkan war, a sign of prejudice by the court. 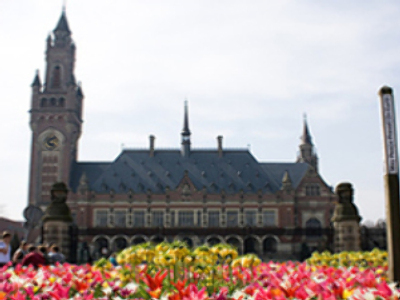 According to the ministry, The Hague tribunal is trading justice for political ends and it should be closed altogether. The statement also pointed out Oric never surrendered to stand trial but was arrested. Two years ago Naser Oric was convicted by the International Criminal Tribunal for failing to stop tortures and killings of Serb prisoners of war when he commanded the Srebrenica enclave in 1992-1995. The court sentenced him to two years behind bars but ordered his immediate release because of time spent in custody. Both prosecution and defence appealed against the lenient decision. On July 3 the tribunal overruled the previous verdict and found Oric not guilty.